We provide all the fun and take away all the fuss in organising your child's birthday party. Willows birthday parties take place 7 days a week in our party rooms and on the farm. Parties are for a minimum of 10 paying children. Please note if you are expecting more than 20 children, please call the office on 01727 744779 or email info@willowsactivityfarm.com (email and phones manned Mon-Fri) to check availability, so that we can check if this can be accommodated. For November and December parties the max which can be booked online is 15 children. Firstly, add a £200 deposit to your basket, and then select your session. Follow the instructions to the checkout. Complete your details, and answer the questions to give us an idea of the type of party package you would like. 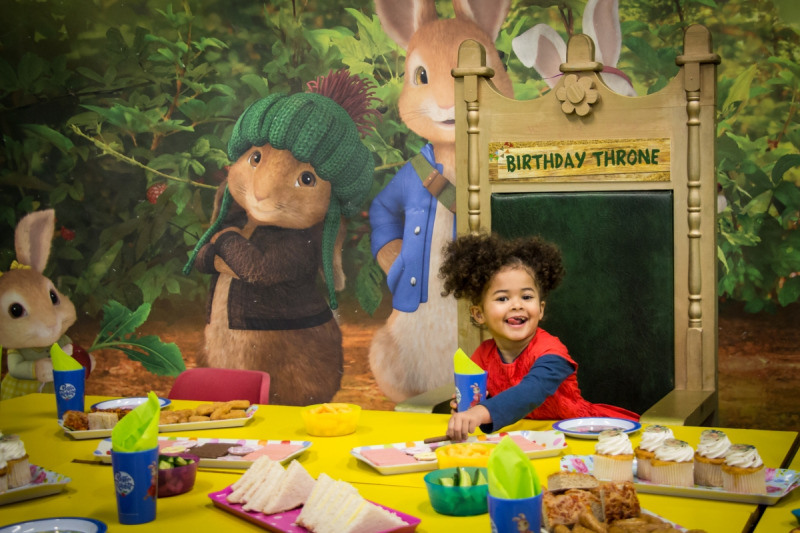 Adult food and drink, a Peter Rabbit visit and birthday cakes can be added on at any time up until 7 days before the party. Once you have made your booking, you will receive a confirmation. You will then need to contact us by phone or email at least 7 days before the party date to provide us with final numbers and pay the remaining balance. Please read the full terms and conditions. Birthday parties are non-refundable and non-transferable.